Constance M. Orlando is an award-winning media executive recently named Executive Vice-President and Head of Original Programming at BET Networks, a unit of Viacom Inc.. A pop culture visionary, Ms. Orlando oversees all genres of original programming, including scripted offerings “The Quad,” “Being Mary Jane,” and specials including, Black Girls Rock! and ratings juggernaut BET Awards. Ms. Orlando also leads the BET News department, overseeing critically acclaimed specials on Ferguson and Baltimore. She also ushered BET into the documentary space with BET Truth Series, which in its inaugural year produced award-winning projects Katrina 10 Years Later, Muhammad Ali: The People’s Champ and Stay Woke. Ms. Orlando previous roles with BET include Senior Vice President of Specials, Music Programming and News, and VP of Original Programming. Ms. Orlando was part of the network’s largest expansion into original programming in its history. 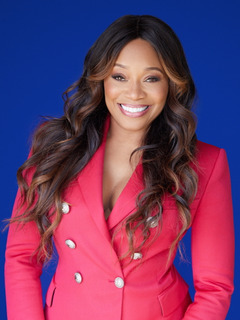 Her ability to lead, inspire and create hits resulted in a list of accomplishments including BET Presents: Love & Happiness, an Obama Celebration, Sunday Best, TD Jakes Presents: Mind, Body, & Soul, The Steve Harvey Project, Monica: Still Standing and scripted series The Game, which scored record-breaking ratings. Ms. Orlando is Executive Producer of all tentpole events, including the BET Awards, the #1 program in cable television history among AA viewers and a top 10 awards show on television amongst total viewers. In 2010, Orlando successfully introduced brand-defining tentpole Black Girls Rock!, an unprecedented worldwide broadcast that celebrates outstanding black women. Previous honorees include Angela Davis, Ruby Dee, Misty Copeland and Ava DuVernay. Prior to joining BET Networks, the Syracuse University graduate ran her own full service production company, CMO Productions, Inc. While running CMO, Orlando served as Executive Producer of award-winning director Hype Williams’ Big Dog Films. Among CMO’s crowning triumphs was a partnership with music icon and businessman Jay-Z to produce the first of its kind, direct-to-video movie soundtrack The Streets Is Watching. Outside of work, Orlando is passionate about advocating for and providing support to women and children in need, so in 1998 she launched a non-profit foundation, ‘Just The Girls’. She also serves on the Advisory Board for Clark Atlanta University’s TV department as the Programming Committee Chair. Orlando accolades include NAMIC’s “Top 40 Under 40”. Her work has earned her nine NAACP Image Awards (“The Mo’Nique Show” 2010, “Sunday Best” 2011, “Black Girls Rock!” 2012/2013/2014/2016, “The Game” 2012, "Ali: The People’s Champ" 2015, and Love & Happiness: an Obama celebration 2016), and five NAMIC Vision Awards (“Black Girls Rock!”).